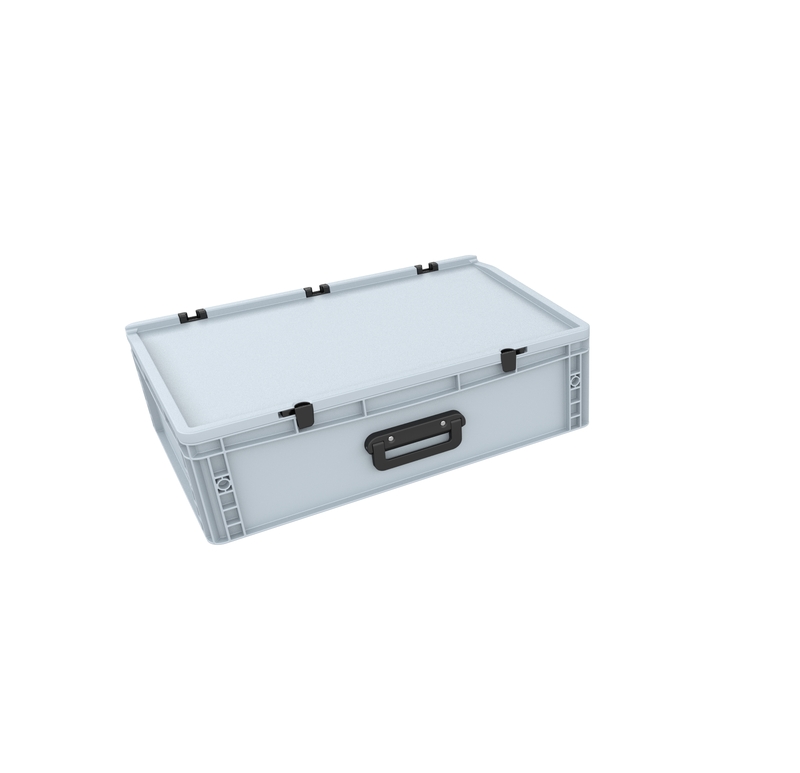 Set of Eurobox 600 mm x 400 mm x 185 mm filled with 2 Pick and Pluck foam inserts. The grid of the foam allows an individual adaptation of the foam inserts to all shapes. 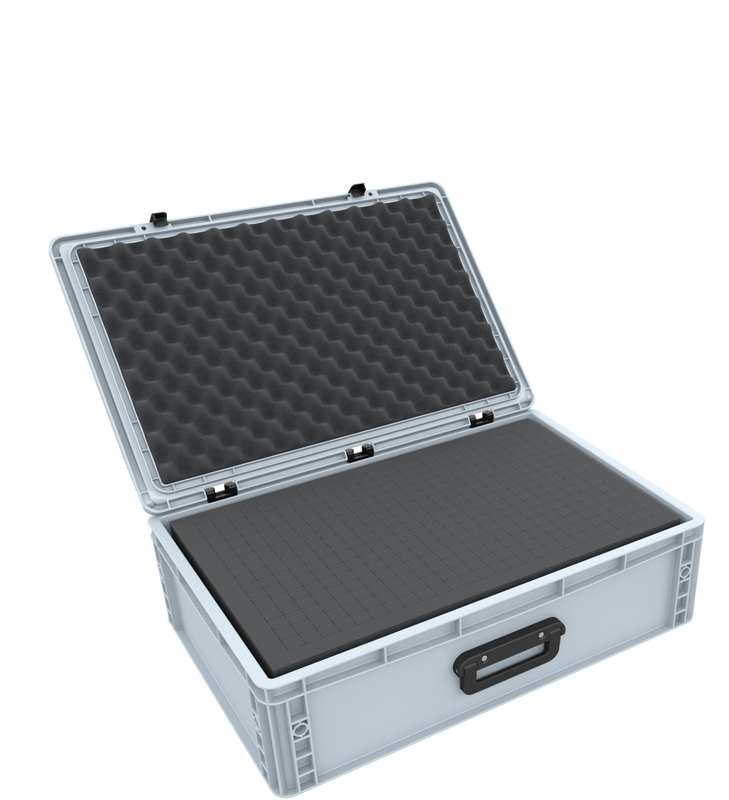 It is ideally suited as protection for the transport of various industrial products such as medical equipment, tool components or technical equipment. The pick and pluck foam is perforated with a grid of 20 mm x 20 mm x height of the insert (70 mm) and a circumferential edge of 25 mm. As a bottom we use a 10 mm thick base (DS010B), which makes it possible to transport even heavy products. 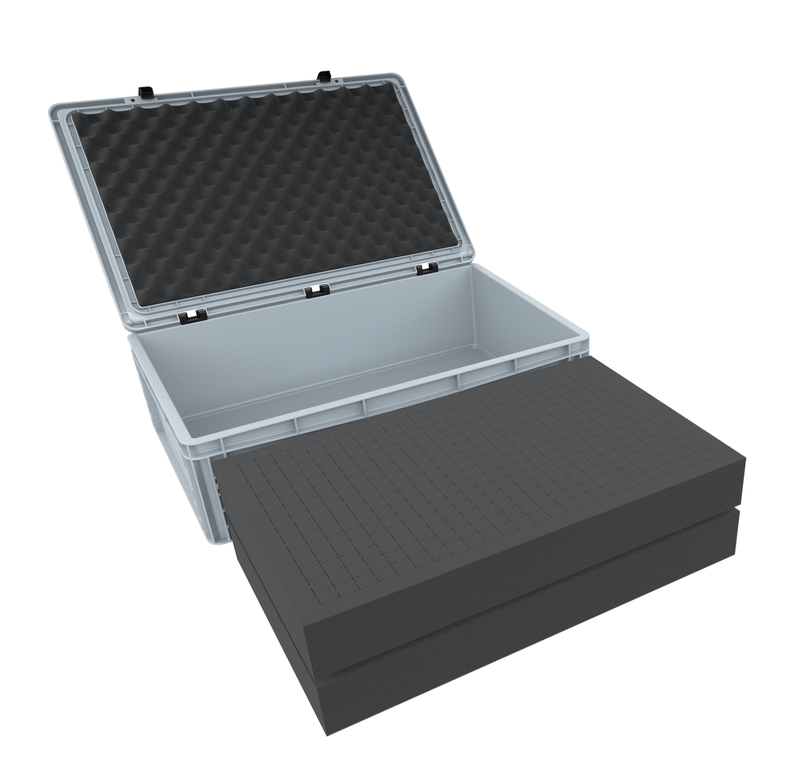 The nap foam serves as top cover and is cut exactly to fit the lid of Auer's Eurobox. Since it is equipped with a self-adhesive foil, you do not need any further tools. All you have to do is remove the adhesive foil from the foam insert and glue the self-adhesive side into the hinged top of the Eurobox. 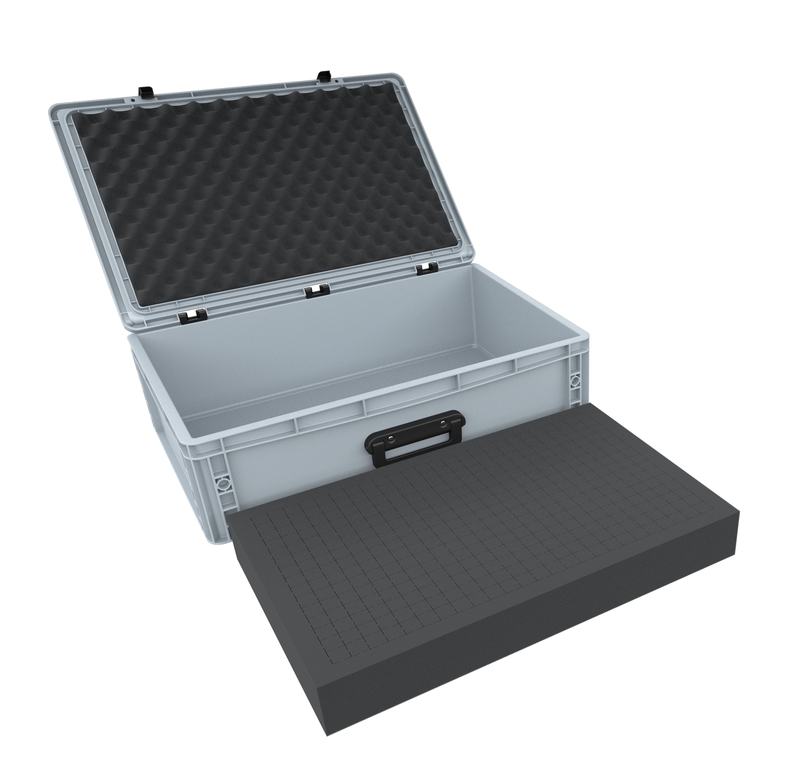 The entire set can therefore be designed, adapted and used according to your personal needs without special tools.